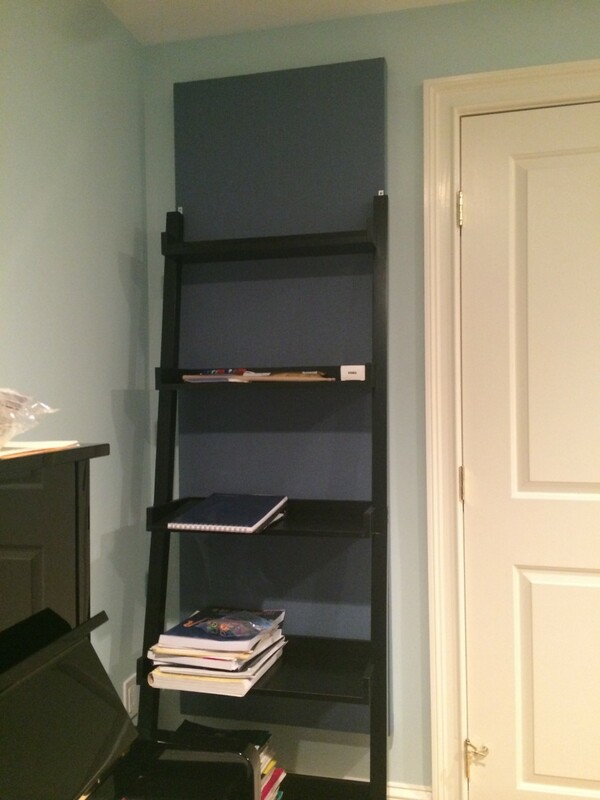 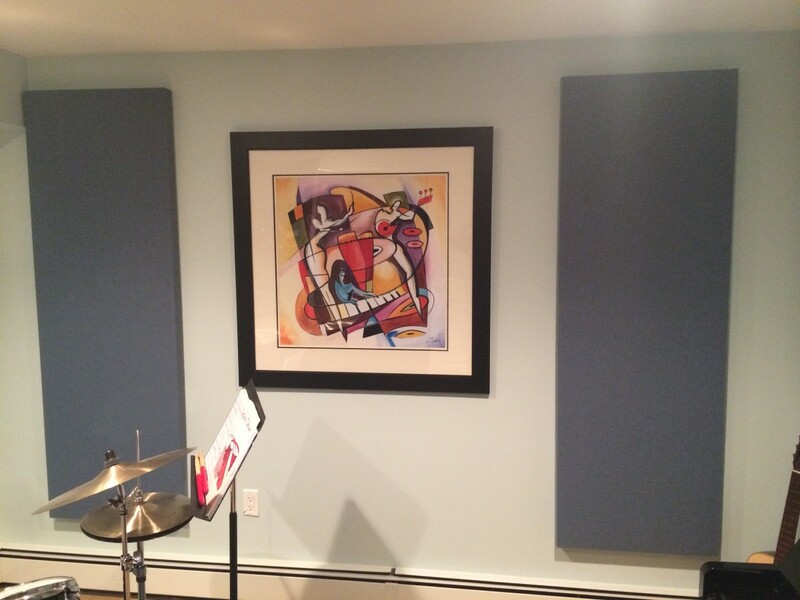 A local family in Needham MA wanted help decreasing reverberation, to improve the acoustics of the music room in their home. 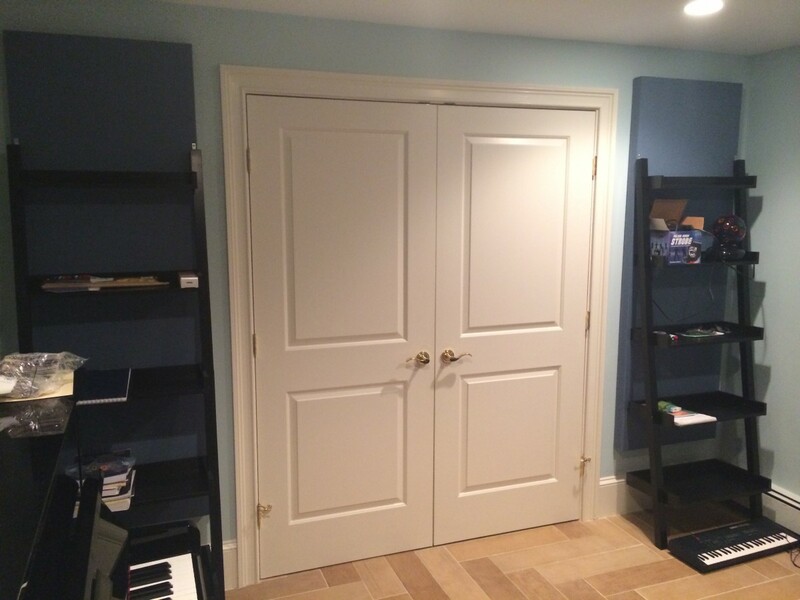 When playing the drums, piano, and other instruments, the music didn’t have the right sound quality, making it difficult to play. 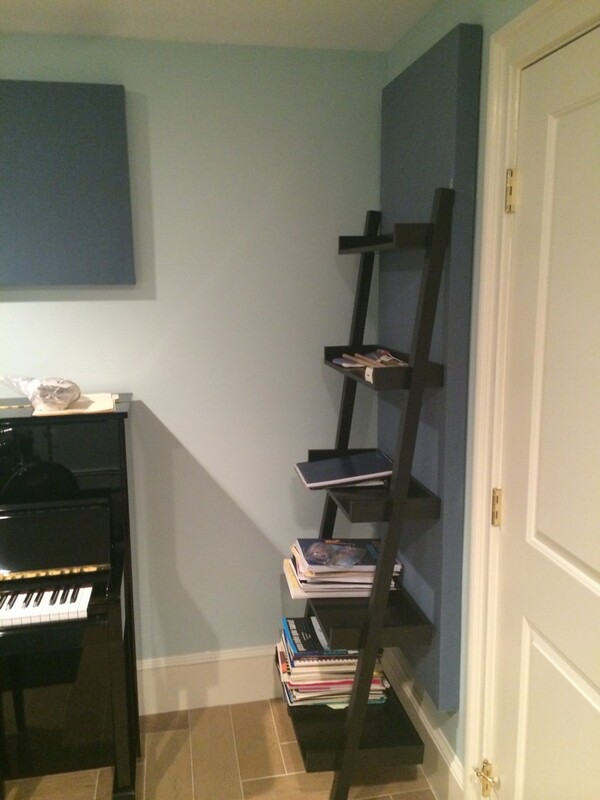 Within the small room, there was hard surface and nowhere for the sound to be absorbed. 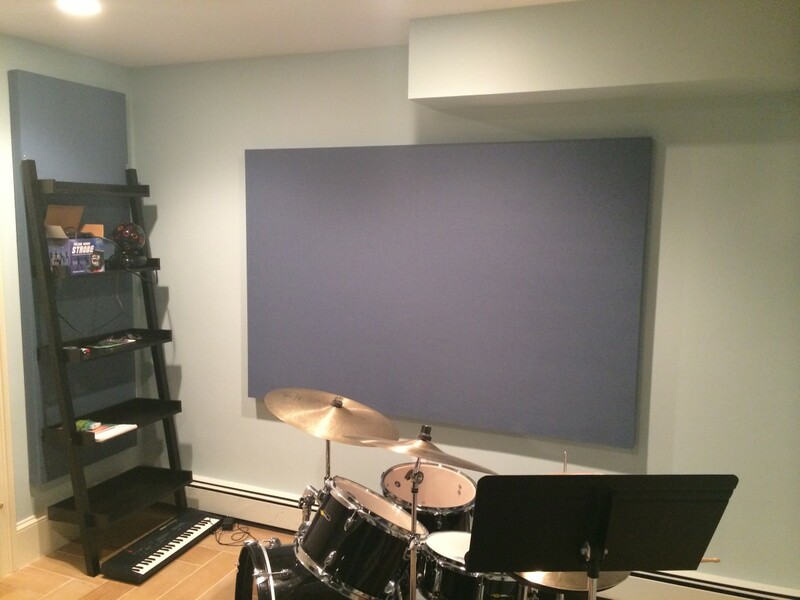 The hardwood floors and plastered walls/ceilings just made the noise bounce throughout the small room, thus creating terrible acoustics. 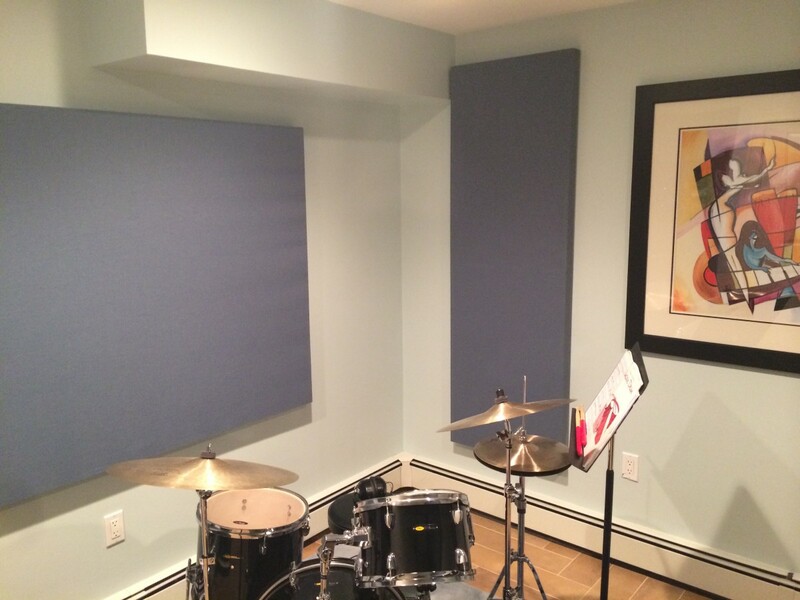 Professional instructors that worked in the room noted, “Better acoustics were required for the room to get the best performance out of the musician.” New England Soundproofing supplied and installed custom-made REVRB™ designer acoustic panels for the room so that the reverberation would reduce and the music would be very clear to the musician. 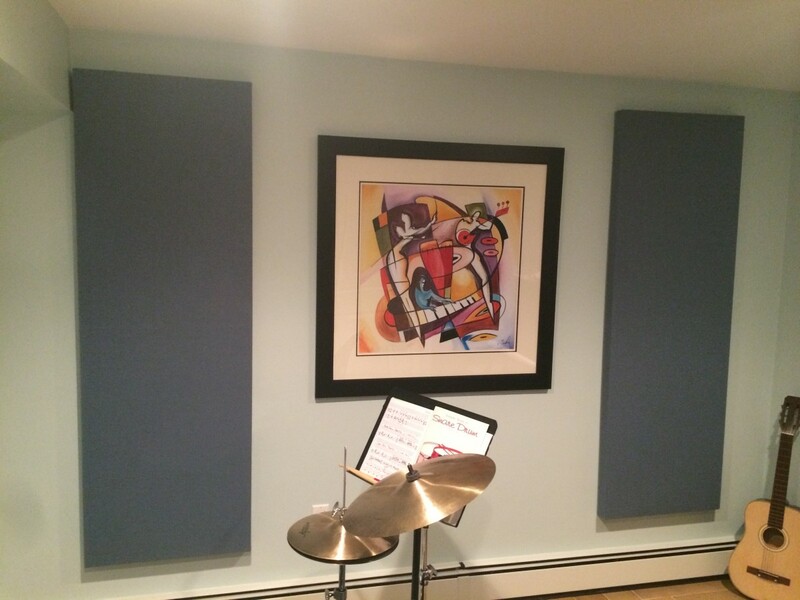 The panels added a nice décor to the room while also reducing the reverberation. 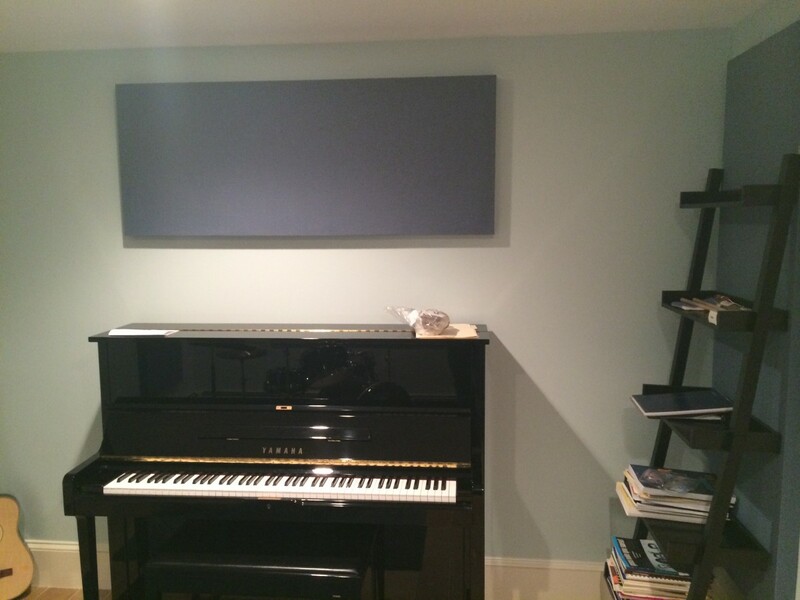 Now the room is set up for perfect acoustics, allowing the musicians to play in perfect harmony, and dramatically improve their skills.